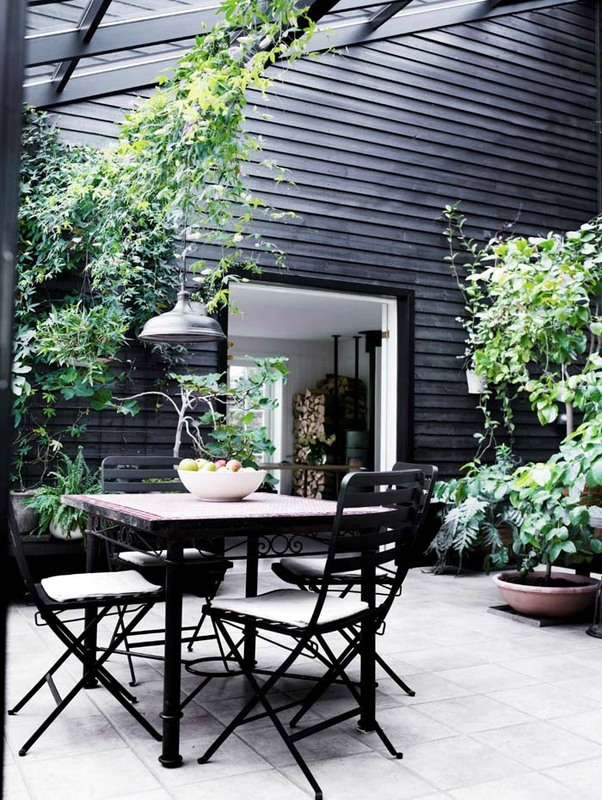 La Maison Jolie: Turn Your Yard Into A Secret Garden With These Stylish Tips! Turn Your Yard Into A Secret Garden With These Stylish Tips! Who doesn't want a little oasis in their backyard? A secret garden where you could lose yourself in the pages of a good book or find your zen while meditating in peace or entertain your friends and family away from prying eyes. At the beginning of spring we had shared our tips on how to create a relaxing garden design. Today, our guest contributor Diana shares a her creative ideas that could help you turn your relaxing backyard into your very own secret garden. Privacy is not something we have a lot of in our modern society. Even without Big Brother’s eye everywhere, we are constantly in touch with our friends and family via social networks. When you step into your backyard, even though you might like your neighbours, you don’t necessarily always want to strike up a conversation. 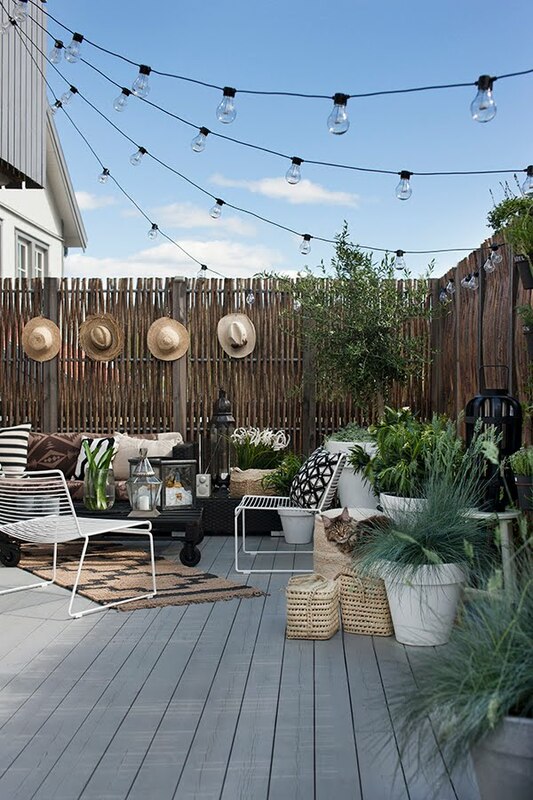 Naturally, fences and tall brick walls will definitely do the trick, but there are some creative and subtle ways of providing your backyard with the privacy you need. Freestanding privacy screens, wooden slat partitions and pergolas that are partially enclosed can go a long way in providing you with privacy. Ordinary materials such as run-of-the-mill wooden fences or brick walls tend to be tedious and look purpose built. Instead of typical wood, opt for bamboo screens– this can add an exotic and organic feel to your garden. Box hedges and tall plants are great choices too, however if you are looking for something more decorative, opt for intricate metal screens that will also create a design feature in your garden. If you live in the city, chances are that there are other apartments, townhouses or buildings next door. Normal cover won’t do you much good here, seeing as how everybody from the first floor upwards will be able to sneak a peak into your yard. 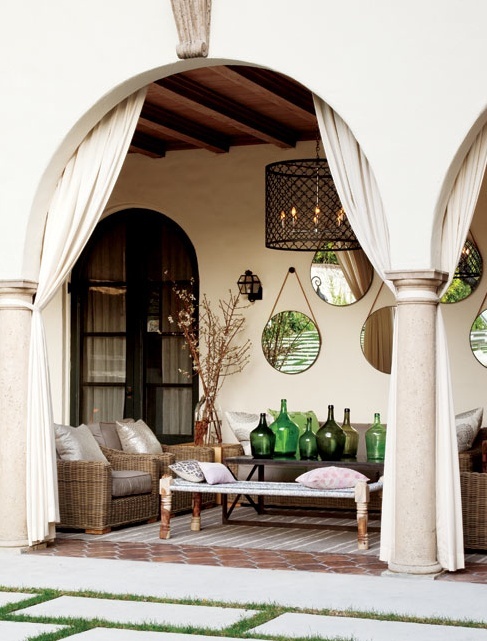 An arched trellis or a pergola is the perfect solution here. Using climbing vines, jasmine or ivy on the pergola roof are a great choice for privacy and also for creating an intimate and cosy space. Curtains are a great way to ensure privacy, because they are moveable. This, of course, means that you will be able to control when and where you want to hide from all those curious eyes. And this is easy to DIY with a few canvas drop cloths! This is a fantastic architectural way of ensuring privacy in your back garden. Use arborvitae trees around your yard, install a tall fireplace and successfully hide your cool resting place from sight. However, try not to block off your entire view – you are in a garden after all, you want to feel the privacy, but not completely isolated from the rest of your home. 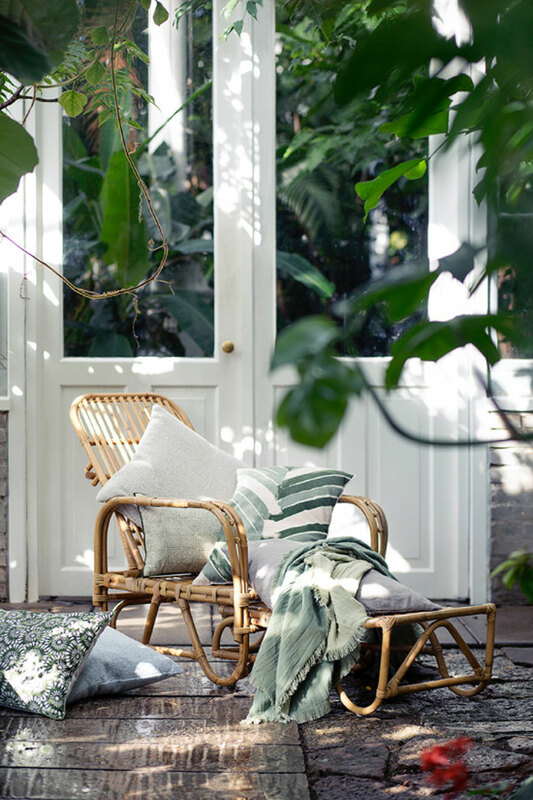 Jasmine and ivy can be a great addition, as well as a beautiful way to create a partitions between the 'public' and the 'private' parts of your backyard. Incorporating simple things, such as waterproof shade sails, in your backyard or terrace creates shade on hot days and constant privacy from curious onlookers. Retractable shades are also great to create a private backyard. 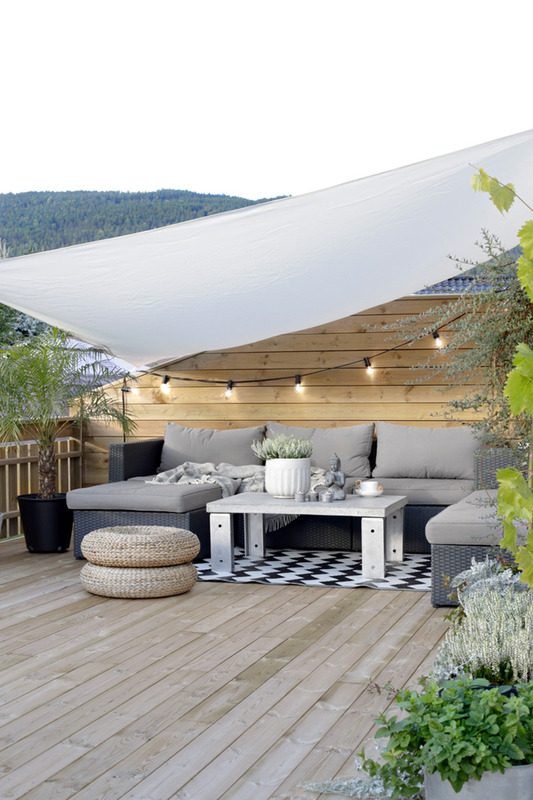 If you do not have the benefit of a huge yard, you can make do with your limited space, by focusing on items such as furniture with canopies, screens and umbrellas. Green walls are another great idea to go for. 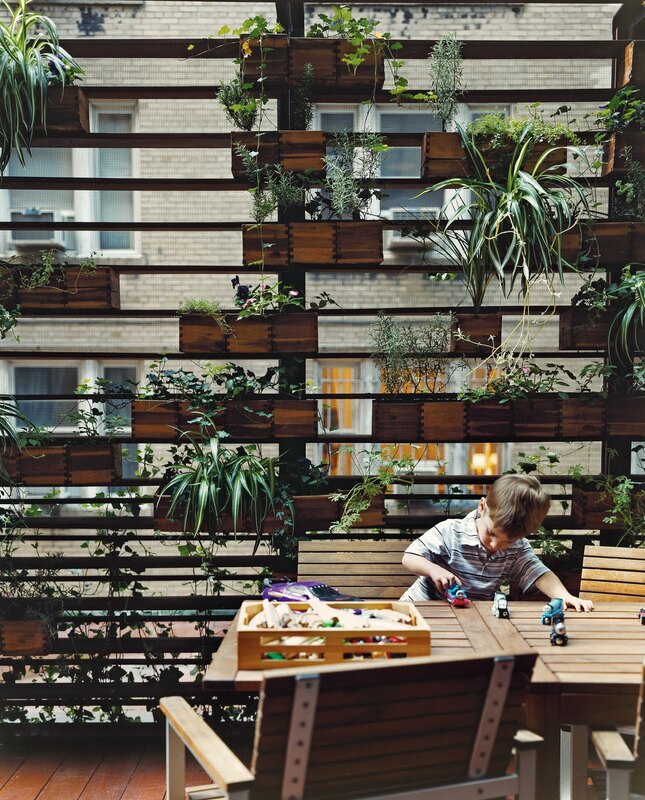 Creating a vertical garden will go a long way in adding to your privacy, but with a ton of style! Rustic containers or wooden crates planted with flowers, herbs or vegetables provide portability, colour, greenery, functionality and, most importantly – privacy. 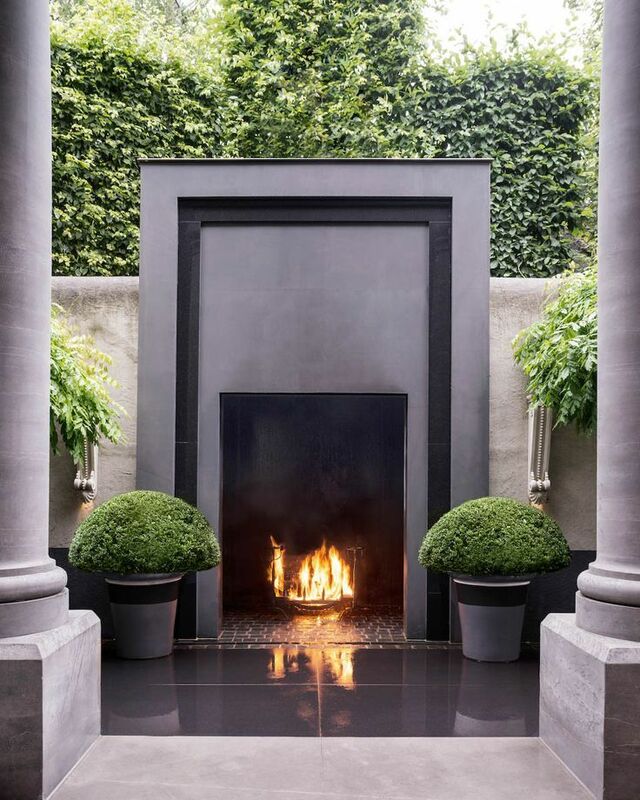 As you can see, making your garden or terrace a private space is relatively easy with a few inventive and creative ideas. However, it is important to be respectful, subtle and neighbourly as well. Use these tips and enjoy your privacy in your very own outdoor secret garden! Till next time...get outdoors and enjoy the weather!